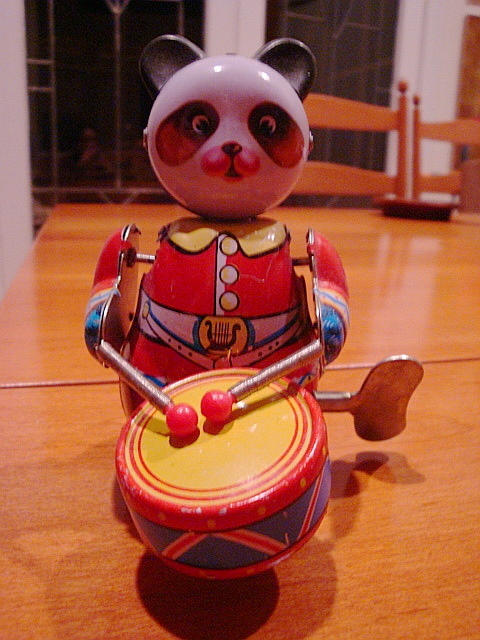 Panda drummer: who can speak? But who can speak of this? –Farid ud-Din Attar, The Conference of the Birds, 12th c. A.D.
A stranger, someone astute and entrepreneurial, emailed me about a comment posted in a discussion about the future of journalism on the site of Harvard’s Nieman Lab. ‘I think you’re on the right track with your focus on the business-model issue,’ he said. He was referring to an outline of a means for old media organisations to move into post-print publishing in a Networking Age in which readers want to be more than passive audiences – to do more than influence stage management and be free to perform themselves. I set out a scheme for turning readers into financial stakeholders or co-owners – experimentally, at first, on parts of newspaper sites – suggesting that this might be an ownership structure for the future. The essence of the idea was that every subscription would also be a share or financial stake in prospective profits. It would be an inducement for each reader or viewer to help bring many more visitors to a site. It would both help the site owner to attract more advertising and – implicitly – reduce dependence on advertising, if the concept of subscription-stakes caught on and went viral. I shall call this correspondent ‘A’, as he does not want more recognition for what he did than his fellow-experimenters. The link to wallets and handbags for their plan was so clear that it had venture capitalists salivating. 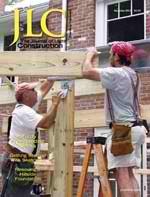 The idea was to monetise a publication and online forum on building for professionals and amateurs – an offshoot of the Journal of Light Construction (JLC), a magazine now 24 years old that is also the marquee name for a popular trade show. You can tell that it is thoroughly up-to-the-minute from the table of contents, where the offerings can range from ‘Pouring Complicated Slab Foundations’ to ‘Promoting Yourself With YouTube’. The forum on the magazine’s website is divided by specialisations. Each section has its own moderator – and in an innovation I have seen nowhere else, the specialist’s name is posted prominently beside the category. When the combined on- and off-line components of JLC were on their way to becoming a publicly traded company roughly ten years ago, ‘A’ and his confederates introduced the possibility of making JLC’s contributors and employees co-owners. I do not yet know whether readers would also have been invited to become stakeholders. If ‘A’ sheds any light on that question after he reads this, I will include what he says here with any other details of the adventure and corrections of this account. And that, strangely enough, is very close to the proposal for a ‘keiretsu-cooperative’. A publishing enterprise with a thriving community of reader-commenters could easily progress to sharing ownership of the commenting sites where readers already supply most of what there is to read or watch. We have started using an improved comment section. It will put readers’ responses on the same page as the article, provide threading of comments so readers can respond directly to one another, and allow them to share their comments and those of others, to Twitter and Facebook. It is unlikely that power and influence in the world that is now forming will lie in the control of channel. Instead it will be vested in forms of community, which will have a tendency to exclude any forms of institutional interference, control or ownership. It is not that people are going to reject institutionalised trust, but the task of sustaining institutionalised trust is going to become much harder in the world of transparency brought about by social media. I would welcome anything that reversed my own fast-diminishing trust in mainstream, 21st-century journalism’s ability to live up to the ideals of the Fourth Estate – of which the highest are impartiality and rigorous self-scrutiny. To my dismay, most of the British media – not just the tabloids – have failed to report every important criticism of the media made in the hearings for the Leveson Inquiry, except for the sensational details of the phone hacking scandal. The. principle of the freedom of the press is always worth fighting for. The quality of that freedom however is questionable when the quality of so much journalism is so low, and when so few people — just a handful of men until now seemingly unaccountable to anyone but themselves and to anything but their own commercial and political interests – have so much say over the tone and nature of public discourse, and so much responsibility for the decline in standards. It is also worth fighting therefore – politicians, journalists and public alike – to change the press we have. At least half of what Alastair Campbell said is true and his critique deserves intense scrutiny and wide discussion by the press – in public. It dovetailed perfectly with the testimony in the same week by Nick Davies, the freelance writer for The Guardian who broke the phone hacking story and pursued it with ferocious determination. He said unequivocally that the press can no longer be trusted to regulate itself. Is a thorough airing of such opinions possible with today’s media ownership structure? Is it possible when the authority to disseminate the information people need in a democracy — to make decisions for the common good — is concentrated in so few hands? Surely we need a new ‘business model’ – of which the keirestu-cooperative could be a very rough first draft – not just to accommodate readers in their wish to share the stage, but to protect our form of government? ** who has already posted a magnificent response to this piece on his own site. I shall be replying in next week’s blog entry – underlining some of his points and clarifying aspects of the keiretsu-cooperative that have been imperfectly transmitted (mea culpa). I will put that up sooner than next Tuesday if I can interrupt what I am writing off-line. ← Will Flattr, a micropayment specialist, prove to be PayPal’s equivalent for blog financing?